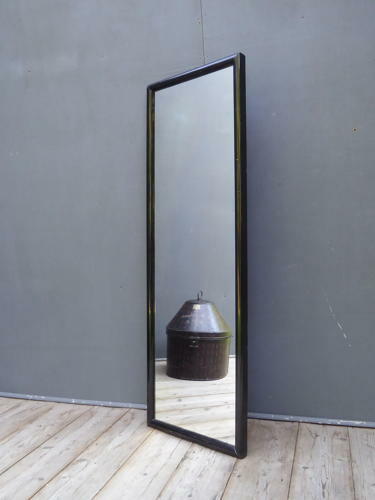 A fantastic original tailors / outfitters mirror. A wonderful shop mirror, the thick glass mirror plate in its ebonized frame in the original finish & unusually good condition. Good unrestored condition with some expected minor foxing to the mirror plate & a few minor imperfections to the frame, back panel later. All pictured & do not detract.